It’s a theme in this week’s issue. 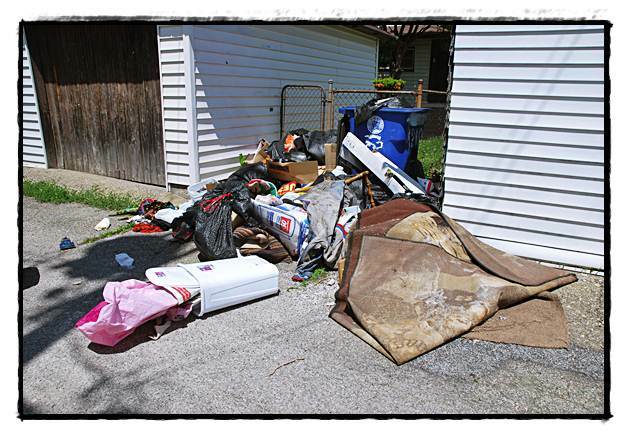 In recent months we have heard from plenty of folks who are fed up with seeing garbage in their alleys and streets every day of the week. And they are particularly fed up with the city’s response in dealing with this blight. On the one hand, we know the city is stretched thin when it comes to code enforcement. But there are many instances of repeat offenders who seem to have no qualms about snubbing our health codes. The city, though, says there is only so much it can do besides ticketing people and fining them in court. Maybe part of the solution for this, besides a heavy-hand in enforcement, is an education program involving the schools and centers of faith. There are some households that are ignorant of why litter is a menace. Besides being unsightly, loose garbage attracts rats. There is also the matter of people just dumping in the city and then driving off. Should homeowners be held accountable for that? Well, yes, because this is the price of living in an urban area. But the city could help out, too, by sending workers to a site to give a helping hand. 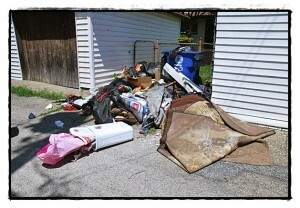 No matter what, the city cannot back off in code and blight enforcement. The problem in town seems to be getting worse, not better. the solution is to fire our overweight dpw director and hire a more competent director. PROPERTY AT BELMONT AND SOUTHWESST CORNER OF TROWBRIDGE AND BUFFALO. A HAVEN FOR RATS, SNAKES,SQUIRRELS,RABBITS, ETC. I HAVE WRITTEN THE MAYOR AND CALLED CITY HALL IN 2010 AND 2011. NO RESPONSE. BUILDING WAS TORN DOWN IN 2010. THE BRUSH AND TREES, ETC ARE 5 FEET OR MORE TALL AND GROWING INTO THE STREET. WHY IS NOTHING DONE? THIS WOULD BE TAKEN CARE OF IF IT WAS WEST OF CONANT. WE HAVE NO WORKING STREET LIGHT AT BELMONT AND BUFFALO. Because we have no accountability in this city. Street lights on Joseph Campau from Caniff to Carpenter have been out for more than 15 days. John, watch the personal attacks. you can call for his firing, but the crack about his weight is uncalled for. It is very relevant, a person who can’t control his weight would never be able to control the city DPW. Did you stop to think that maybe he suffers from a medical condition? Still, his weight has nothing to do with the issue of whether you or anyone else thinks he is doing a good job. Really? based on what imperial data? lets assume you are attacking his personal discipline on the grounds that if he cant avoid unhealthy or wasteful practices then he obviously cant be expected to run a structured department. lets run with that……what defines an unhealthy habit? who will dictate where the line is? what about smoking? or drinking? or watching television? texting? facebook? playing video games? not exercising? how about wearing your underwear for a second day cause you’re too lazy or cheap to have enough for the week or do a load of laundry? when do morals and standards based on your obvious high lifestyle dictate whether someone else is incapable of being dependable or reliable? Maybe John you could write an autobiography and send us all a copy so we can see a prime example of living. We’ll call it the gospel of John and anyone who doesn’t meet up to your standards will be not only stripped of their titles and office but removed from civilization entirely since they obviously are incapable of being productive citizens.